The Rebel Sweetheart. : Spotlight | Samyo Bed and Linen Spray + Giveaway! I'm a sucker for aromatherapy. From massage oils, to scented candles, to oil lamps, to reed diffusers - I've tried them all. This time around I'm using a new method, in the form of mist sprays. Just recently, I received these bottles of bed and linen sprays from Samyo Fragrances. The brand derives its name from 'samyo' - the Filipino term for 'aroma' or 'fragrance'. Samyo Bed and Linen Sprays. A fledgling business enterprise, Samyo Fragrances aims to take advantage of the olfactory perception (aka, sense of smell) to address an individual's specific need. Their Xaplono line, for instance, aims to address sleeping problems and boost relaxation through aromatherapy. 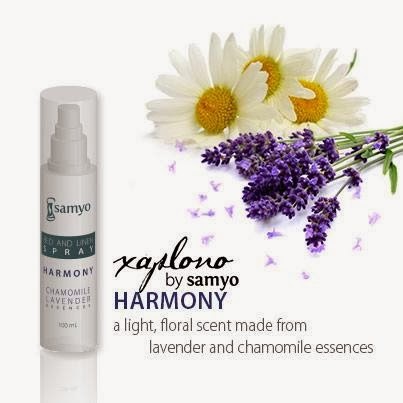 At present, there are two variants available in the Xaplono line: Harmony, a light, floral scent made from lavender and chamomile essences; and Tranquility, an earthy, woody scent made from oils of sandalwood and vetiver. Used for centuries to enhance meditation, sandalwood is also a natural sleep remedy. Vetiver, on the other hand, helps relieve anxiety. Lavender, a very popular fragrance, has been named as one of the most useful essence for the relief of anxiety and stress. It's a great complement to chamomile, which calms the mind and induces a happy feeling. These bed and linen sprays come in transparent plastic bottles with a fine-mist atomizer spray and a snug-fit protective cap. To use, simply spritz 3 or 4 times onto pillows or bed sheets before naptime or bedtime. Both Harmony and Tranquility are fragrant, yet mildly-scented. The aroma is very natural - not the kind that could make you sneeze or cough at first whiff. It's gentle on kids' noses, too. In fact, my son loves the light and lulling scent of Harmony. If you're thinking of trying these sprays, you can purchase them online via the Samyo website. Or you can drop them a line on Facebook or Twitter. 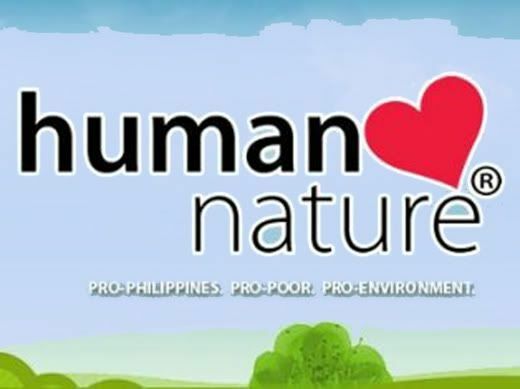 The 100mL bottle costs Php 300, while 50mL bottles costs Php 200 each. Both rates are inclusive of delivery fee. Now here's the best part. As a treat to all of you, Samyo Fragrances will be giving away two (2) 100 mL bottles of these bed and linen sprays (one of each variant) to one lucky reader! And just now, the Sales and Marketing Manager of Samyo contacted me, saying that he's including a Starbucks gift certificate to the prize pack! To join the giveaway, simply complete the tasks listed on the Rafflecopter below. You have to complete all of the mandatory tasks for your entries to be valid. You can earn more entries should you choose to do the optional tasks. More completed tasks mean more entries. More entries, the better your shot at winning the prize. I am in love with bed and linen sprays! I love how they make my room and my bed smell so relaxing! Awesome giveaway! I haven't tried aroma therapy or massages yet but I can't wait! I like the Harmony one! I want to try linen sprays so I can sleep better, but I have very sensitive sinuses. Are the scents just mild and not cloying? Hi. I joined because I like the linen spray. Thank you for this lovey giveaway! I d love to test it! These sprays sound like they would be relaxing and would put me to sleep! I love those lightly scented linen sprays. I'd love the harmony scent. I use a vanilla linen spray at home. So comforting. Wow, this is awesome! I have been looking for this kind of bed spray. Glad that we have local company that produces this kind of product. I just started using linen sprays and I really like them. Makes bed time very relaxing! What a great giveaway! really seems like a wonderful product. I'd love to try Tranquility as I love the Sandalwood scent. I have never really used any linen sprays before. But this enticed me to try it. Comment with your name, email address, the link to your tweet, and the link to your Facebook share.